Wethertex have built, over the last 45 years, a substantial team of technical and industry experts, developing resin-based building products and systems that have been manufactured using the most technically advanced raw materials available. Wethertex S.A. Quicklock Textured Roller sleeves and frames for applying products such as Wethertex HBS Flex-Coat Hi-Build Coating. With more than 45 years’ experience developing and supplying high performance and waterproofing building products, Rawlins Paints are delighted to be official distributors of Wethertex online in 2017. 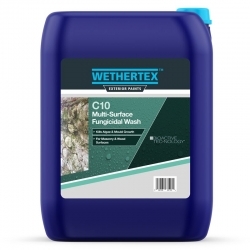 It is our role as distributors to also offer our extensive wealth of technical knowledge across this exciting new range of industrial products to new and existing customers and clients familiar with the Wethertex brand. 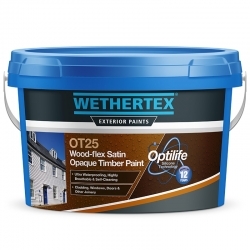 As official distributors, Rawlins Paints will often stock Wethertex products before anyone else online, so if there is something you cannot find on our site, contact us and we will be able to assist you. Frequently used for the decoration, or redecoration, of older and listed buildings, Wethertex’s systems provide a maintenance free, waterproof façade which protects the property against even the harshest of weather conditions. It is not only protective qualities that Wethertex can boast with its products, they also help enhance the appearance of a property, which in turn can increase its value. 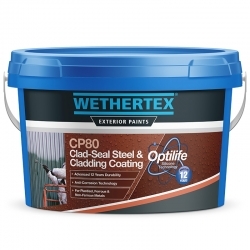 Products and systems available from Wethertex at rawlinspaints.com include Pliolite flexible textured and spray coatings, fibre reinforced performance base coats, re-pointing mortars and waterproofing liquids along with masonry paints. This range will continue to be expanded upon throughout 2017. 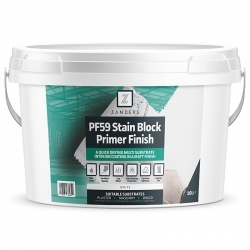 Pliolite resin enables the render to bond with most surfaces, offering premium water resistance, whilst allowing the substrate to be highly breathable. Applicable surfaces and substrates for Pliolite resin products include precast concrete, concrete brickwork, spalling (or good condition) brickwork, suitably sound (previously painted) surfaces, as well as smooth, slurry, stucco, pebble dash or spare dash renderings. 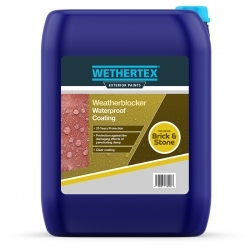 Wethertex manufacture a small and powerful range of cutting edge waterproofing systems for external use – WetherDry - which use Nano technology to penetrate deep into the substrate, delivering optimum waterproofing properties. 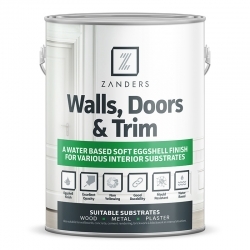 Tackling internal damp issues externally has seen this range grow substantially within the building and industrial trade. It’s not only damp issues that are resolved with the WetherDry range, but a sealed and protected external wall can reduce energy consumption and save you money. 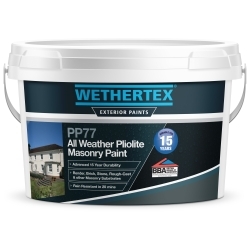 Wethertex claim to simplify the wide range of options available within the building trade industry in 2017, including primers, external rendering and specialist coatings, by ‘taking away all possible confusion’ and ‘the possibility of under specification’. 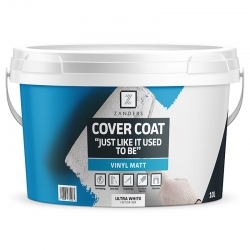 By doing this, a reduction in high performance render and coating system products failing is achieved, as well as greater life expectancy across their product range. 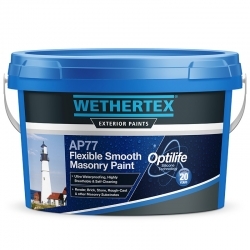 Designed and tested specifically for the UK market, browse the collected range of Wethertex products available at Rawlins Paints, or contact us for technical and product support. This is a relatively new brand who are committed to manufacturing excellent products for architects and specifiers.